‘Cyber Security’ the term itself refers to securing you from any kind of cyber/online threats. Cyber security majorly involves the implementation of various techniques and software in order to mitigate all forms of cyber threats and information breaches that has become very much common in this era of digitization. As the usage of Digital medium started picking up its pace, varied new kinds of threats have started arising in terms of data security and information preserving. As with the rise in enormous organizations stepping forward to intake digitalization as their inherent property, it has become extremely necessary to safeguard their quality information and prevent the leakages and breaches that incur heavy losses upon that organization. Thereby it is very much necessary to know how to preserve your valuable data? Research and case studies depict that there has been a rise in the number of cyber crimes once data transference has been conducted online. A majority of businesses have also paid a huge price in accordance to that. But was is only because of the hackers? Well, firstly it’s somewhat because of their negligence towards their own cyber security and their inability to identify internal threats. Yes, at times internal threats do play a significant role in terms of data leakages. Thus in this blog, we will be focusing on cyber security issues that businesses are facing on the go and discussing the preventive measures that can be taken in order to minimalize these threats and preserve data from getting breached. Even though most of you think that cyber crimes are primarily the acts of certain groups of hackers, surprisingly they are not whom you should be worried about in the first place. Why if you ask? Because the imminent threat to your security is right in front of you, yet you’re unable to identify it. Yes, I’m referring to all those day to day mistakes of your organization’s employees that go unchecked. Be it placing important docs on insecure cloud applications, to accessing official data and accounts from home or even sharing passwords to resourceful information. All of these some way or the other affect your cyber security offering hackers the golden opportunity to pounce on. It not always that the employees don’t care, instead they are often unaware of the potential threats their negligence towards daily chores can heavily cost the organization they’re associated with. Even recent study on cyber-attacks showcase that more than 85% data breaches and cyber crimes occur due to stolen employee information. Suppose there are daily hacks on that basis then you can imagine how immense will the data that will be breached. However, in most cases, the data breaches are nothing but a result of an honest mistake from the employee’s perspective. And they won’t even realize that because of their minor error, an essential information has fallen into the wrong hands. So let’s check out the most common pitfalls that lead to multiple data breaches eventually resulting in hefty information loss. It has been duly noted organizations often tend to underinvest when it comes to cyber security, without even realizing that this might ultimately lead to a total lockdown. However, you might also witness certain cases where funding was not an aspect, instead a few common yet simple mistakes lead to breaches. And here are few you should really look into. This is certainly a massive issue in the current corporate world. Mostly referring to sharing of such organization-owned devices with others (sometimes with an individual from outside your organization). Not only this but using such devices for personal use as in authorizing bill payments or emailing files in bulk etc. All such habits do put your organization’s sensitive data at risk in a varied number of way you can even think of. For instance, you may consider- using unsecured web applications to sharing your system access with outsiders. Certainly, one the major and elementary reason for maximum data breaches cases that occurred is the usage of the unauthorized application to store significant data. Over 70% IT professionals agreed to the fact that using insecure applications to save sensitive data has resulted in the loss of an organization’s valuable information. Among them- personal email usage, online banking, instant messaging apps, shopping apps, bill payments etc tops the list. These seemingly harmless apps fall right outside a healthy corporate culture risking not only a particular employee’s information to be leaked but might even thwart a whole organization’s significant data. In recent times, remote working has been quite a controversial topic. As we see many of the top-notch companies providing this facility to their employees. Reasons are nothing unknown to you- reportedly the people embracing this have witnessed more productivity and happiness among employees. But on a serious note facilities of these type comes with a higher cost- significantly in terms of your security. A thorough survey detected that over 50% employees are found to transfer files back and forth to their personal drives. Often copying company’s significant data for their personal usage. Firstly an employee’s personal computer won’t possess the same safeguards as those provided in the corporate sectors. However, to combat such issues various organizations came up with the usage of a secure network for employees to work. Yet there are potholes even in the strongest and proclaimed to be most secured networks. So while the employee thinks he is actually safe, he is rather unsafe. It is seemingly seen that the people are often too careless with their passwords. Regardless of how strong or how many special characters you have used in your password, one simply shares it through email or via textual message. Studies show that only 30% of users save their passwords in a secured manner using password managers and the remaining heavily rely upon the unrealistic and insecure methods for recalling their password. Since it not entirely possible to get rid of all kinds of humanistic errors within an organization, it doesn’t mean that you will be just another guy who keeps on repeating the same mistakes over and over. Making mistake is not a sin, but overlooking it all the time such that it occurs repeatedly will be considered as a corporate sin. Here are certain strategies that might come in handy. In a corporate culture where working in groups prevail alongside remote working, it is very much necessary to know who does what and exactly, when. The digital paper trail will essentially store or keep track of the data transactions going around and the records of the individuals entitled to access that data. In that way, you can clearly look into the issue of any additional information being transferred from your organization. It may sound a bit offbeat, but the true importance is to segregate data into various levels enabling an individual to access only the part of data that are required for the ongoing operation. In simple terms, you have to add the world classified to your data storage section. Since your employees are the backbone of your organization, it is essential to aware them regarding their commonly made mistakes. This will allow you to relatively minimize the internal threats that lead to data breaching and also act as a do’s & don’ts for what employees should do during their work hours. Last but not the least, using a high-quality employee monitoring software will certainly strengthen your cyber security policy to a greater extent. 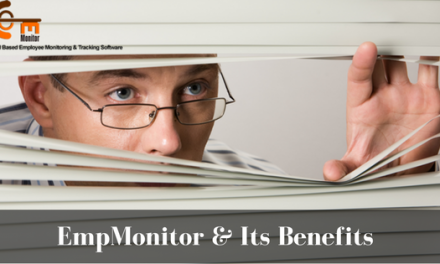 Keeping the objective of uprooting any form internal threats to your cyber security- Empmonitor is crafted. 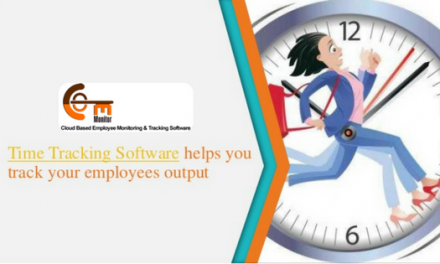 It is a cloud-based employee monitoring software dedicatedly designed to help the organization to keep track of their employee’s activities during working hours. It offers real-time monitoring with features enabling the administrator to monitor- computer screenshots, conversation (both for email and messengers), keystrokes, external devices and firewall protection. Being a cloud based in nature it can be operated from wherever you desire, hence making your monitoring process easier and smarter. Thus in the blog, we have majorly focused on the pitfall that thwarts the cyber security of your organization and discussed methods of prevention which will help you mitigate the data breaches. One thing you must keep in mind that is in the digital age data is valuable. Thus preserving it and preventing leakages (be it due to internal/external casualties) is your foremost look out. So if you think the blog seemed informative reply with your point of views and suggestions in the comment section. 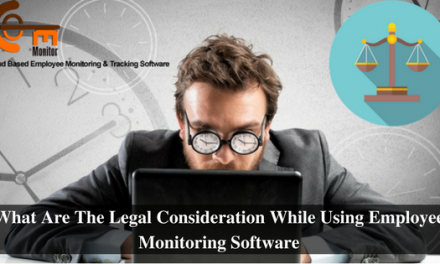 PreviousEmployee Monitoring Software: How to Protect Your Employee By Protecting Your Business? 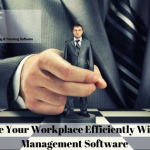 NextHow to Keep Employees Focused Using An Employee Management Software Like EmpMonitor? Hello! I am Jit Adhikary, an aspiring web content writer. Currently working in digital marketing firm, specialized in digital content writing. I like to explore latest online marketing trends and try to produce user beneficial writings. What Are The Advantages Of Employee Time Tracking Software?